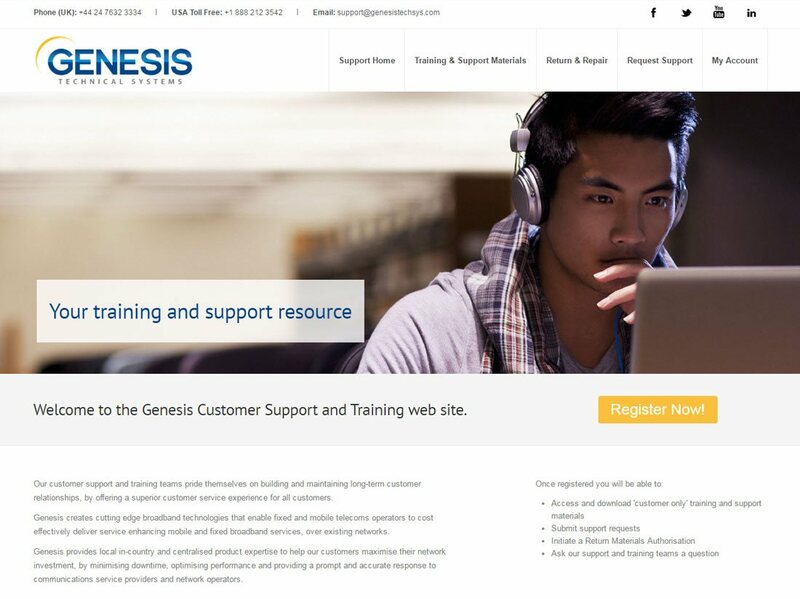 Genesis Technical Systems have worked with us for a number of years and recently asked us to extend their company website with a support area for their customers. The brief was to create a simple, intuitive system to enable customers to download documentation, ask questions and arrange RMAs in secure area and through an authorised approval process. The system was created using the Symfony framework and provides GTS with a bespoke user management system which reflects their purchasing processes. They needed to be able to validate that anyone registering for an account was a known customer and a permissions system to suit the structure of the large organisations they work with. Any questions submitted by customers can simply and easily be turned into answered knowledgebase questions to grow this bespoke support resource along with their client base.